Top 5 Best Bark Collar On The Market: What Really Works? Top 5 Best Bark Collars On The Market: What Really Works? Bark Collars - or perhaps anti-bark collars would be a more appropriate name - are handy devices that help to discourage excessive barking in dogs. If you've been troubled by a hound that just won't be quiet, a bark collar may be the most effective way to teach them the behaviors you want them to show. Unfortunately, many products aren't as good as they should be. To solve that, we decided to put together a list of the best bark collars currently on the market. Several factors went into our ratings when we created our final list. First, we focused on products with a high number of reviews and recommendations. We can test bark collars on our own dogs for days, but that's too small of a sample size to provide genuinely useful information. The wisdom of the masses is a better way to determine if a given bark collar really works. Next, we got rid of options that actively punish dogs. Bark collars are designed to interrupt barking and need a way of discouraging it, but anything legitimately painful was right out. We preferred collars with ultrasonic noises or mild but not too offensive smells. These are more than enough for most barking buddies. Shock collars are acceptable, but we leaned in favor of those that either exclusively had mild shocks or slowly progressed to stronger results. After that, we considered the materials. Some dogs are likely to be rough with collars they don't like - and it's hard to guarantee the survival of anything against a determined canine. Given that, we preferred collars made out of tougher materials. Finally, we sorted our list based on the safety of the collar. 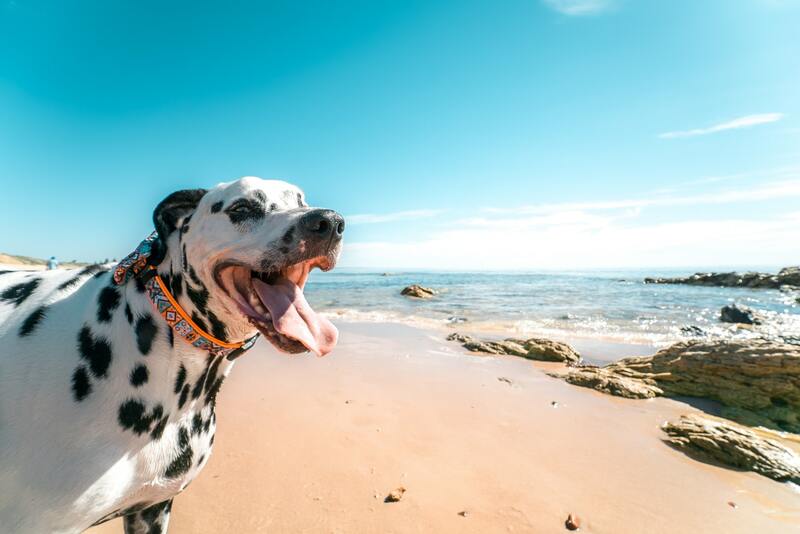 Dog collars should be easy to remove in an emergency, and anything focused on staying tight around the neck is more likely to lead to health problems than anything else. Before we get into the list, we'd like to take a moment and discuss the four kinds of bark collars. Each of these offers a different type of correction, and one method may be more effective on your dog. Just like people, dogs are unique and have their own personalities, so there's no way to guarantee that a bark collar will be effective on every breed. Instead, you may have to experiment a little. Some bark collars offer more than one type of correction - usually shock and a non-shock option, like vibration. Despite the name, shock collars aren't actually painful - not unless they're turned to the highest settings, anyway. This is the only reason we allowed shock collars on our list. When active, shock collars emit a pulse of electricity that's just strong enough to get your dog's attention without getting to the way of pain. Essentially, shock collars tell your dog "hey, focus! ", and most dogs don't bark when they're being told to pay attention to something. Over time, the goal is to teach your dog that instead of barking when they notice something, they should pay more attention to it and then get you if they need you to care about it. Vibration collars are often considered the mildest form of bark control. The process is simple - when barks are detected or the button on your remote is pressed, the device starts to vibrate like a smartphone. This is meant to distract your dog and give them something else to focus on. The major drawback of vibration collars is that they generally don't work on long-haired dogs. To work at their most effective level, they need to touch a dog's skin so the vibrations can be transmitted. Since the effectiveness of these collars can vary so widely, there are no vibration-only collars on our final list below. Ultrasonic collars are generally more effective than vibration collars, and they're ideal for families who want correction without the somewhat rougher shock collars. When an ultrasonic collar goes off, it emits a noise that dogs can hear but humans can't - so you aren't going to be bothered while the correction is taking place. Ultrasonic learning, in general, is effective on dogs. The one downside to be aware of is that outside noises can interfere with - or even drown out - the noise of these collars. That makes it much harder for them to work as intended on outdoor dogs. 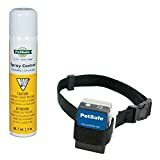 If you don't want to keep your dog inside all the time, consider getting another type of bark collar. Citronella collars are the last of the four major types of bark collars. You're more likely to notice these collars for a simple reason: the spray goes into the air. If you like the smell of citrus, this bark collar can double as an air freshener. If you don't like the smell, don't get this collar. Citronella collars are most effective on shy dogs, who respond well to smell-based learning. Larger, tougher dogs are more likely to start ignoring the smell in favor of exerting their own will, making citronella a poor choice for certain breeds. As such, we limited citronella to one place on our final list. It's worth including at least one collar of this type, but the limits of citronella mean it doesn't deserve more than one spot on the list. Incidentally, citronella itself isn't derived from oranges or other fruits, despite the smell. Instead, it's an oil derived from the stems and leaves of lemongrass (Cymbopogon). The oil is non-toxic, has anti-fungal properties, and is widely used throughout the world. As far as chemicals to spray on dogs go, citronella is in the rare position of being both effective and safe. Now that you know how we picked these, let's take a look at the best bark collar options on the market. Keep in mind that different collars are intended for differently-sized dogs. Some collars simply aren't good for every breed, so be sure to read each collar's specifications before you consider buying it, regardless of what we say about it. After all, if the collar doesn't fit, it doesn't matter. The first entry on our list has several things that set it apart from the rest of the competition. To begin with, this collar has a microprocessor that learns to recognize your dog's voice and only activate when it detects that. The result is a system that's far less likely to go off accidentally and teach your dog to avoid things they shouldn't be doing. The system itself has 7 different levels of correction, starting with a vibration warning that reinforces the idea that barking is bad. The collar itself can get a full charge in just two hours, which is considerably faster than most of the competition. Unfortunately, no collar is perfect. The one major flaw in this bark collar is the lack of variation between the main settings, each of which is a fairly big step up from the last. This can make it harder to get the perfect setting for your dog. Still, seven settings are more than enough for most households. SportDOG's collar is designed for outdoor dogs in particular, with a design that takes mud, dust, snow, cold, rain, and heat into account. It's also waterproof and can be submerged as much as 10 feet without any trouble, so there are no worries if your dog suddenly decides it's time for a swim. 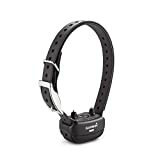 What really helps this collar stand out from the crowd is its selectable modes of operation. 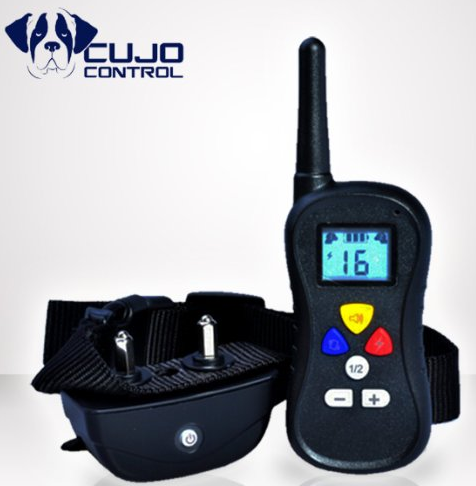 These give you the choice of Temperament Learning, Progressive Correction, or User-Selected activation modes, and that last one means you can easily customize the collar to fit your dog's personality. Like every good bark collar, this option works to detect your dog's barking and filter out other noises. This ensures a more consistent form of training and significantly improves the chance that the collar will work as intended. This collar from PetSafe made the list for two reasons - it usually works and it's an affordable model that's easier to fit into a budget. As much as we'd like to focus only on the most deluxe products, this guide wouldn't be very helpful if everything was too expensive. Despite this collar's description as a "basic" product, it has a surprisingly robust set of features. First, it offers six different levels of static correction based on a vibration detection system that helps prevent false corrections. 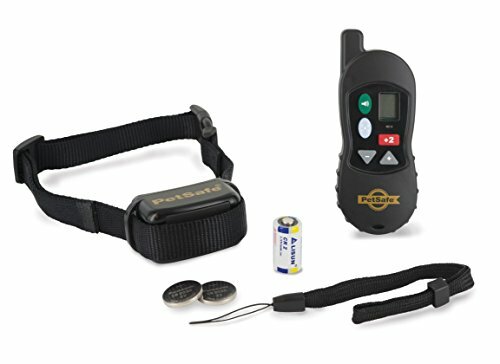 The PetSafe Basic Bark Control Collar uses a progressive correction system that starts at the lowest level and only increases if barking continues. For safety, this collar will shut off after 50 seconds. Hopefully, this feature won't need to be used, but we think it's important for shock collars to have this so they don't harm your dog with too much static stimulation. This isn't the best collar on our list, but it is one of the most affordable - so it's worth considering. Garmin is a well-known manufacturer, so it's no surprise they managed to make this list. 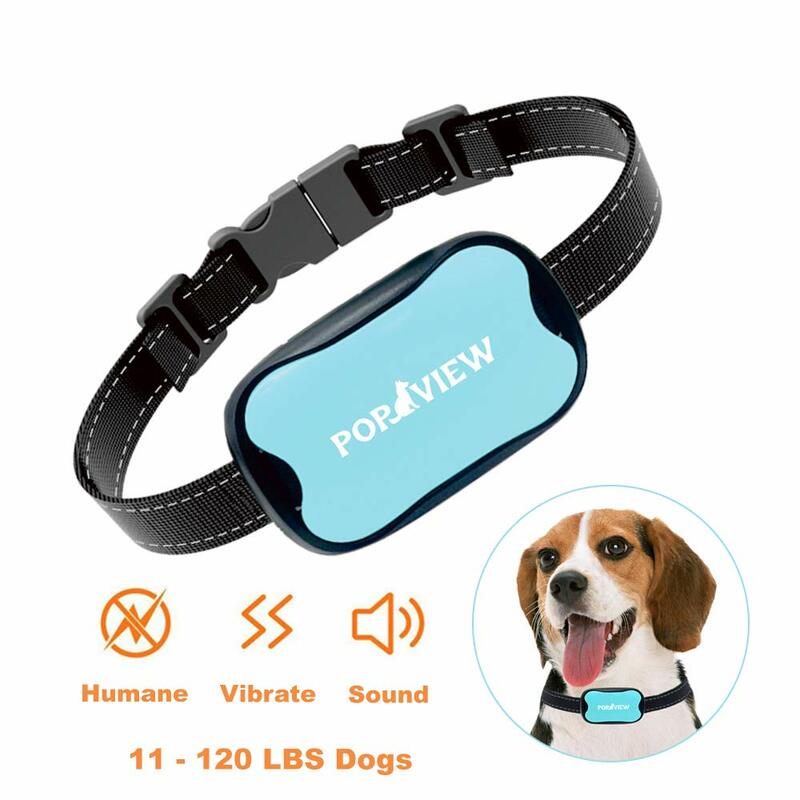 Unfortunately, most people's experience is that this bark collar works well or not at all, which is why this product isn't higher on our list. The most notable thing about this collar - and the part that justifies its cost - is the inclusion of bark differentiation technology. First, this helps it filter out noises from the environment or other canines. Of course, that's expected of a bark collar. What really sets it apart is its ability to detect qualitative differences in barking. In other words, it's not likely to go off when a dog is trying to tell you about injuries or a threat. Instead, it focuses on obsessive and nuisance barking. Out of the box, it's set to a progressive system that increases the correction until barking stops. If that isn't good enough, you can manually adjust the settings. A built-in bark counter provides objective data on the effectiveness of manual settings and can help you fine-tune them to ensure maximum bark control. Overall, there's a lot to love about this bark collar when it works. LIGHTWEIGHT - designed for dogs over 6 lb. with neck sizes up to 24"
Most bark collars focus on shocks to get their point across, but they're not the only way to go. Some owners prefer something merely unpleasant, rather than objectively shocking, and that's where this product comes in. When this collar detects excessive barking, it sprays a small amount of citrus-scented spray at your dog. They don't like the smell, so in many cases, this is all that's necessary to get a dog to stop barking. If you'd prefer to go even milder, PetSafe offers an alternative unscented spray that limits the correction to the feeling of getting water in their face. This isn't a good choice for determined and aggressive barkers - the level of correction is too mild for that. On the other hand, it's also less dangerous, and there's something to be said for that. The collar holds 25-30 sprays at a time, while the refill cans contain 300-400 sprays. Depending on the severity of your dog's barking, you may need to refill it on a frequent basis. Overall, we recommend the Dogtra YS300 and the SportDOG SBC-10R as the first choices for most households. 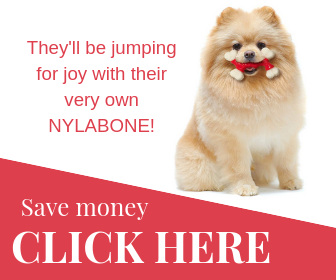 While they're a little on the expensive side, they're also known to work well for most dogs. They offer plenty of features, have long-lasting batteries, and are most likely to work. The other three bark collars on our list have some manufacturing issues that limit their viability.